Indian Karnataka is a medium to full-bodied coffee that is grown in mineral rich volcanic soil. 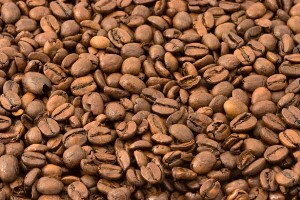 The brewed cup has more in common with Indonesian coffees than the African coffees, although not as earthy. It is also a bit more complex than most peaberry coffees, and has a bold flavor reminiscent of Baker's Chocolate.